Forget pulling up at a servo hot-box in a town you can’t even recall the name of. Half the point of going outback is to make a memorable stop and support one of many quintessential, family-owned Aussie pubs. Quench your thirst and belly inside their historic walls, lined in quirky Akubras and where you’re welcomed to rub shoulders with the locals at their handmade camphaloral bars. 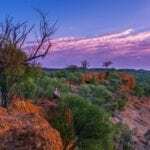 These are seven of Outback Queensland’s best watering holes. Possibly more famous than Kim Kardashian’s booty, the Birdsville Hotel strikes an impressive pose against the red dust and aircraft hangers parked out front. After hours (and hours) of driving to tick this national icon off your bucket list, it’s the bang-on outback hospitality, cold ales and Channel Country beef steaks that has kept folks returning since 1884 #arewethereyet? Looking for a road trip where the finish line is the pub? Then it’s time to road trip the Warrego Way. Spot Kynuna’s Blue Heeler Hotel by the blue and pink neon sign beckoning from the Matilda Way to pull in and drink to man’s best friend (the working dog). Standing just north of the Combo Waterhole, it’s no surprise Banjo Paterson himself frequented here, and it’s said both the Waltzing Matilda’s swagman and the squatter had their last drinks inside these walls. 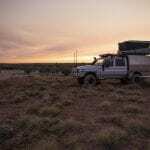 Winton’s famed North Gregory Hotel lies north of Longreach, where the dinosaurs once roamed the inland sea. It also claims to be the first place Waltzing Matilda was publically sung, in April 1895. Since this time, the original hotel burned down but has been tastefully restored with an elegant 1950’s art deco brick replica now paying tribute to the melody through its architecture and furnishings. Blink and you may miss town of Ilfracombe, home to the Machinery Mile and quaint Wellshot Hotel, spotted between Barcaldine and Longreach. In 1890 the famed Wellshot Hotel found her permanent home after being relocated multiple times along the railway line by bullock and cart. With a wool press bar, hat collection, quirky seating and currency stuck to her ceiling, she’s worthy of more than a few Instagram snaps. Barcaldine still reflects how life was enjoyed during the late 1880s gold rush era, with pubs in every direction. Nowadays, ‘Barcy’ remains a popular watering hole where the town’s main street is lined historic hotels including the well-positioned Shakespeare Hotel (better known as the ‘Shakey’). This two-storey beauty overlooks the railway station and Tree of Knowledge ghost-gum – regarded as the birthplace of the Australian Labor Party. 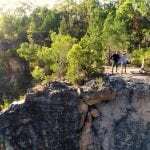 Time your trip with the Barcaldine Tree of Knowledge Festival to take the town in (and its pubs) in all its glory. What the town of McKinlay lacks in numbers by population, it makes up for in celebrity status. Paul Hogan’s Crocodile Dundee gives the town’s Walkabout Creek Hotel its claim to fame. Built in 1990, the hotel is where Mick is featured kicking back on the wrap-around verandah with a pint in hand. Filled with movie memorabilia, the Matilda Way landmark sends movie buffs into a selfie frenzy. The town of Noccundra was established in 1882 due to the construction of the Noccundra sandstone hotel. Supporting Cobb & Co stagecoaches in its heyday, the two-person township now services the modern-day travellers along the Adventure Way, arriving by car, caravan or lightcraft by the dozen. 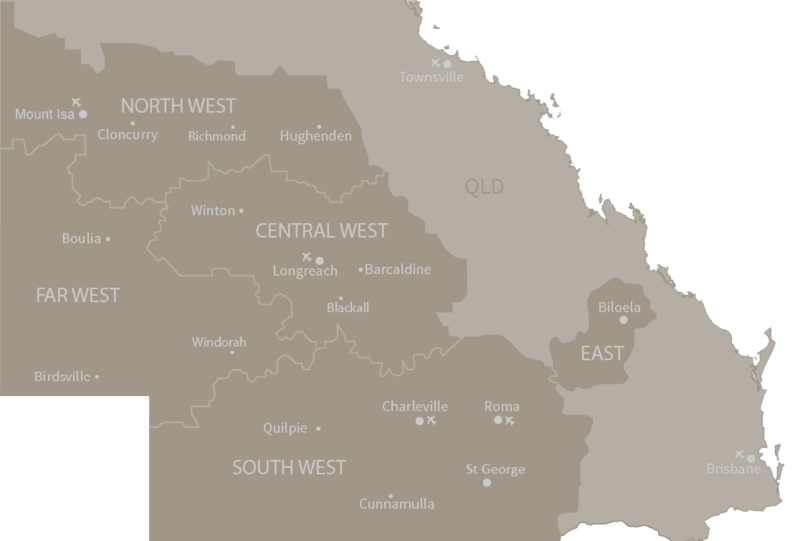 Have you been to any of these outback pubs? Got a tale to share? Another vote for Middleton but don’t forget Clancy of the Overflow at Isisford and Yaraka Hotel. We love stopping at the outback pubs. We stop for a couple of drinks, maybe a feed, stubby cooler or sticker. Also a great way to meet backpackers from all around the World. It’s sad our Aussie kids are too spoilt to head out to these places for a bit of work and experience. Thank you for the reply Steve! 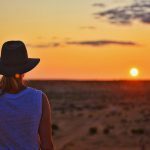 Round two of this blog is staying…and probably round 3 and 4 (we have so many great outback pubs!). dont forget the Prairie Pub in Prairie, north QLD. Great food, great atmosphere, great owners, a buffalo and fantastic collection of memorabilia and farm items. Thanks Daniel! There will be another edition of this blog….we have so many great pubs! Beautiful; great food & good ole fashion service. How exciting! You must be on the count down to the trip now! Enjoy! Toompine hotel is also a great outback stop for an excellent meal and good company. Been to most of these fantastic . Another good one is the Royal Carrangarra Hotel Tambo !! Great chicken races ! Proceeds go to the flying doctors !! Had my 21st birthday in the Welshot – over 60 years ago. Middleton gets my vote too.